About 35 luxury homes are located either on the ocean or on the intracoastal! 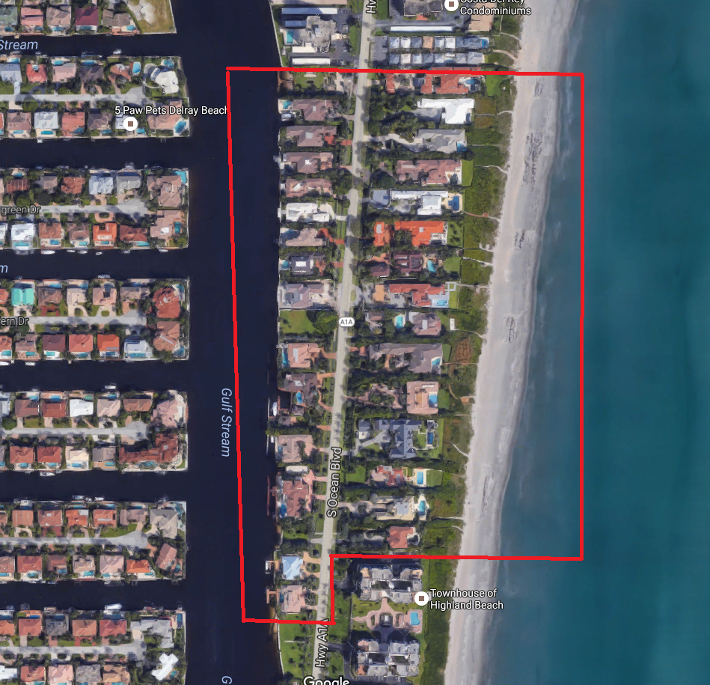 These direct oceanfront and Intracoastal Waterway Estates are located on the North end of Highland Beach on A1A, south of Linton Blvd. Location: Prestigious Highland Beach is an idyllic barrier island community fringed with sugar-sand beaches and served by a scenic tree-lined stretch of Florida's State Road A1A. Highland Beach's central location is just south of Delray Beach, with Atlantic Avenue's trend-setting boutiques and bistros, and north of Boca Raton, offering world-class shopping and dining at Mizner Park. Highland Beach is within easy driving distance of international airports in Palm Beach and Fort Lauderdale. Never miss the opportunity to buy a Byrd Beach Estate for sale again! Register with us today to get the tailored listing information sent directly to you. If you’d still like to learn more about this community, read more here. Contact us today to learn more about Byrd Beach Estates. We can help to answer questions, arrange viewings and more!